Advice and information from Sieger! Free shipment of parts within the EU! The Hebemann Oil Grazer M3 is the most effective and user-friendly oil skimmer for the machining industry ever. 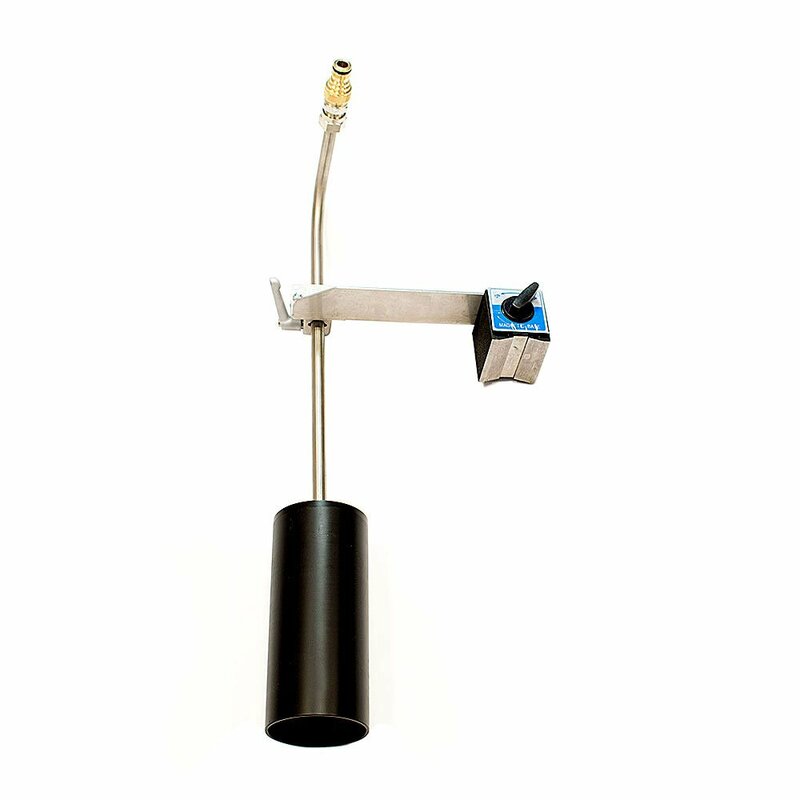 The oil skimmer has been completely redesigned to make tramp oil and other contaminants in cooling lubricant easier and faster to remove than ever before. 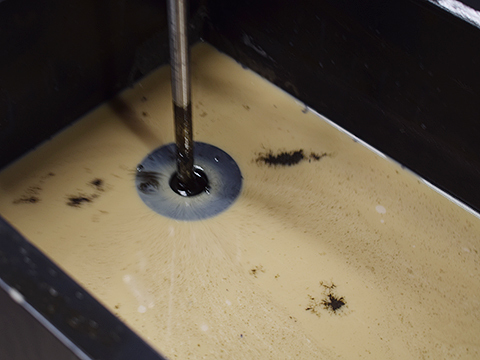 Maintenance of cooling lubricant is important and reduces costs and problems. But just as important is that this can be done effectively and easily. 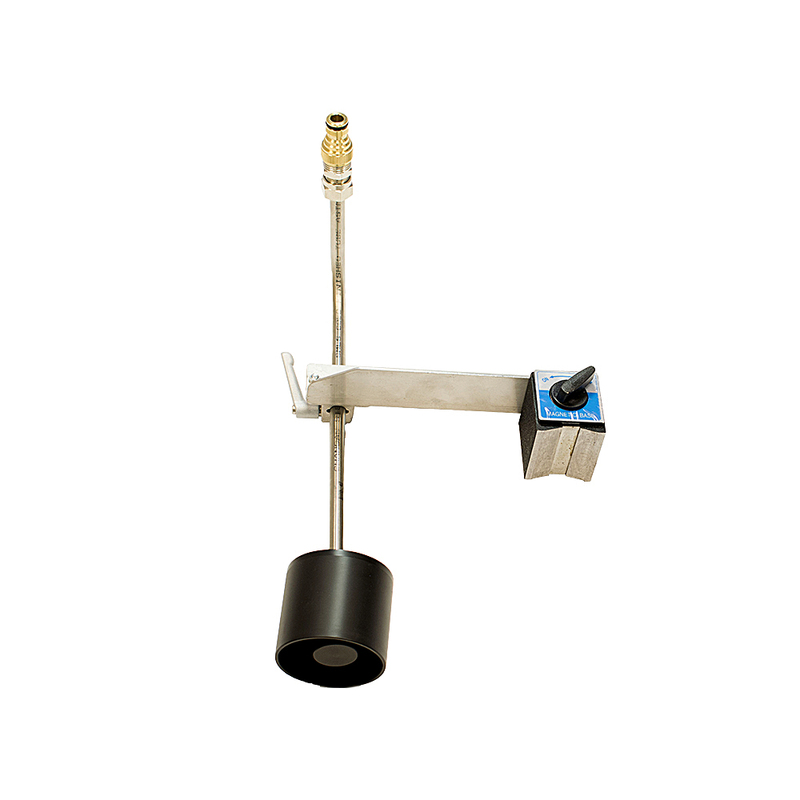 That is why Hebemann developed the Oil Grazer M3 in cooperation with companies from the metal industry. 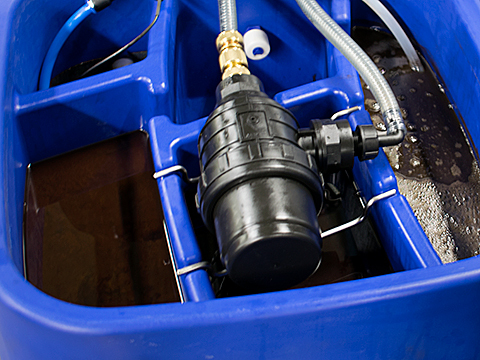 The result is a functionally designed oil skimmer, which is easy to maintain and move. The Oil Grazer M3 has a new internal separation process, based on three closely coordinated process steps. A clever application of gravity, with multiple compartments, guarantees almost complete separation. Only the contaminated oil is discharged. 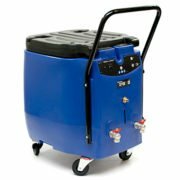 This system provides constant suction and automatically adjusts to the liquid level. 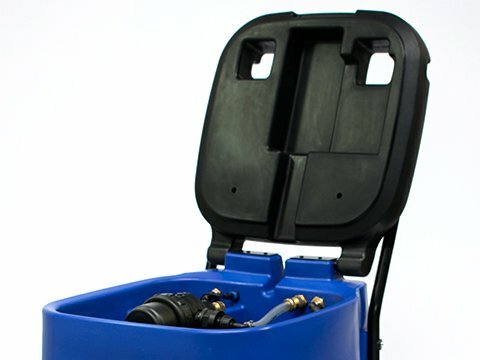 By providing each machine reservoir with its own pick-up system with quick couplings, connecting and disconnecting the M3 is a matter of mere seconds. 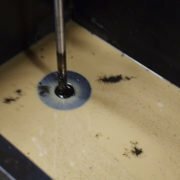 In combination with the high skimming speed, several machine tools can be cleaned per day with one machine. 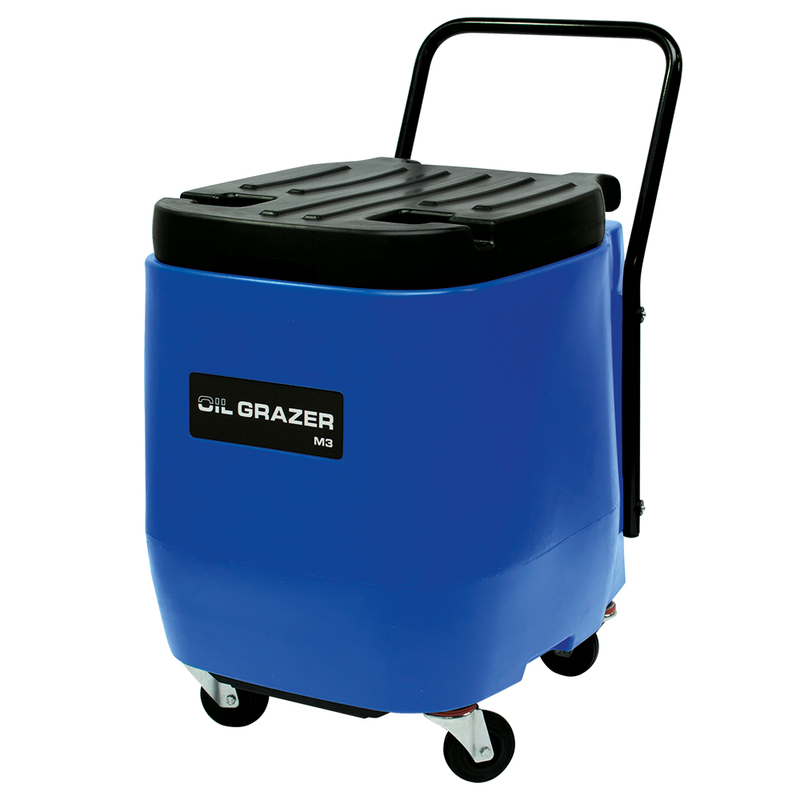 The Oil Grazer M3 is an intelligent machine with just one control button. 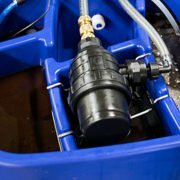 All necessary functions are taken care of by the internal controller, so the skimmer operates fully automatically. The reliable Siemens PLC monitors all processes, while a powerful diaphragm pump ensures a high flow rate. 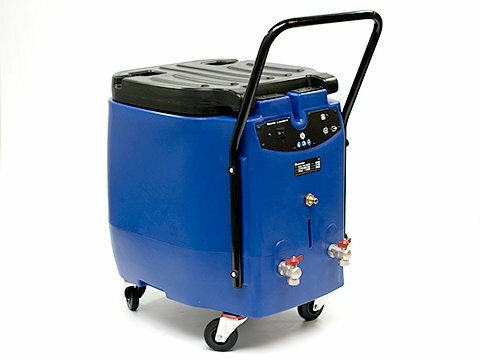 The design of the Oil Grazer M3 is not only unique but also very functional. 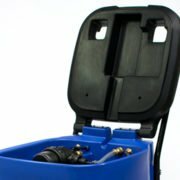 By using a rotationally moulded housing with rounded corners and smooth surfaces, the oil skimmer is quick and easy to clean. 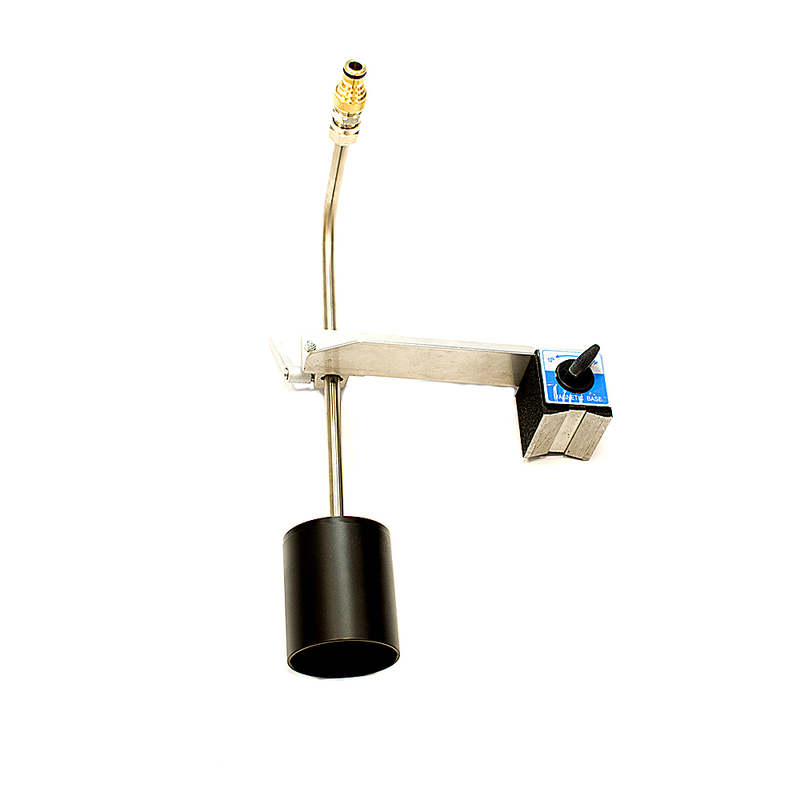 With its ergonomically designed handle, the oil skimmer is also easy to move. 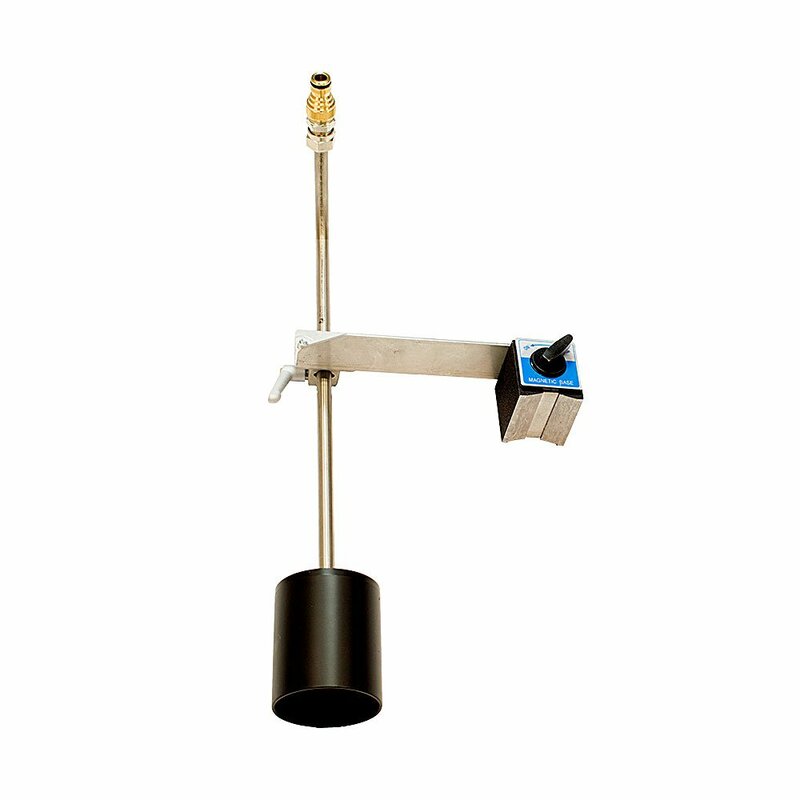 The Hebemann Oil Grazer M3 is designed to be able to clean multiple reservoirs per day. 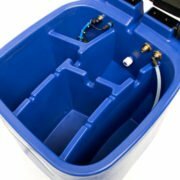 In our webshop you will find various pick-up systems so you have a perfectly fitting solution for every cooling lubricant tank. The normal pick-up system with short tube is suitable for normal-reservoir machines with limited space above the reservoir. The long pick-up system is suitable for large-reservoir machines and can adapt without any problem to a large level variation in the reservoir. The normal pick-up system with long tube is suitable for normal-reservoir machines with limited space above the reservoir. 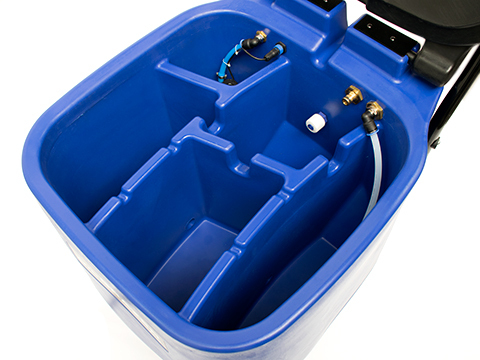 The smallest pick-up system is suitable for low-reservoir machines and a small level difference in the fluid.